An old foe has risen from the grave and an old ally is sent to her death, both at the hands of a well-known angel in a trench coat. Cas is fighting a war and he will do anything to win it, even if that means betraying the trust of those he calls friends. It’s getting exciting in the lives of the Winchesters and I’m looking forward to finding out how it all comes together. If the remaining episodes are as jam-packed as this one, the fans are going to be ecstatic. There were literally so many things achieved in “Mommy Dearest” that it’s hard to know where to start. I was very happy to see Lenore return because I always loved that vampire. She didn’t want to kill to feed, she simply wanted to be left alone to live her life. Too bad Gordon Walker and others couldn’t quite understand that. But the Winchesters did and they saw her not as a threat, so for over four years she’s been left alone. Now, when they need a friendly monster to find out where Eve is holed up, they have to call upon her. She’s not doing too well. Her nest couldn’t resist Eve’s voice in their heads, so they’ve split. She’s been hiding out, trying to avoid feeding, but the lure became too much for her and she took the life of an innocent teenager. Lenore can’t live with that and she can’t continue resisting, so when she gives them what they need, she asks for a favor in return. She wants to die rather than put any more innocent lives in danger. The boys are, understandably, resistant because they want to save her. There are ways, protection barriers, that they can try in order to prevent her natural urges from getting the best of her. But all this talk is taking too long for Cas, so he does what the Winchesters won’t, and Lenore gets crispy-fried from the inside out. I’m sad to see her go, but her death signals a big red flag when it comes to Cas and his mindset right now. We’ll get to him in a minute. "I didn't tell you this out of the goodness of my heart. I need something. Kill me." The brothers were a cohesive unit again in this episode, as well as just being themselves. I’ve missed them so much and they’re back on track after all these months of soullessness and angst, anger and pain. We got to see geeky Sammy again, which I love. He lets Bobby use his iPad in the diner. Of course he has an iPad. Sam gets his hands on the latest gadgets whenever he gets a chance, determined to drag Dean kicking and screaming into the 21st century. 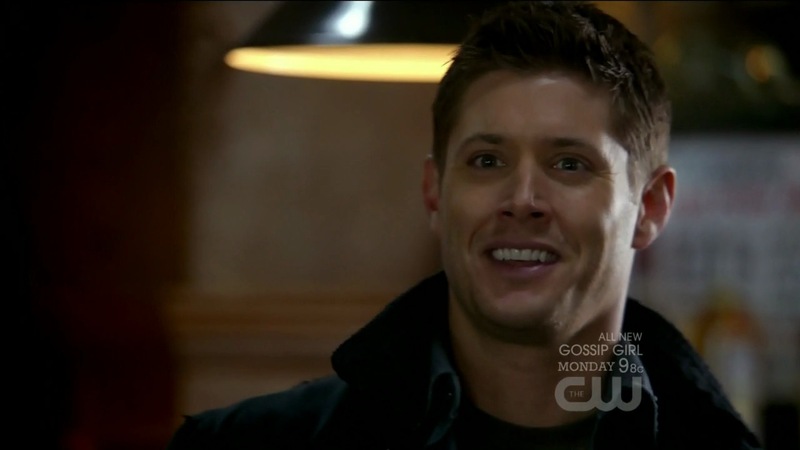 And Dean, in this episode, was giddy. There’s no other way to describe it. He got to name the new creatures Jefferson Starships and that made him happier than anything. Note to the team, never let Dean name anything ever again because now we’re stuck with it. I adore that they all committed to this, though. Instead of just blowing him off and saying it’s a stupid name, they went along with it. Starships, starships, starships everywhere. "Jefferson Starships. Because they're horrible and hard to kill." Eve, who was set to be the Big Bad of the season, is getting more serious now. She’s mad and she’s smart, so instead of leading an army of current creatures, she’s going to make a stew and blend them all together into one super-creature. But lab experiments rarely go right the first time around, so she’s using a whole town as her testing ground. The contagious shifters didn’t work, so how about some vampire/wraith hybrids aka Jefferson Starships? No, they weren’t quite right either, but she’s getting closer. Turns out, by the time the boys discover her, she’s perfected it and unleashed her creature onto the world with the help of the Winchesters themselves. Prior to the kids turning out to be evil, I did love the quiet moments Sam and Dean had with the two brothers. That bond, the caring, it’s just like Dean cared for little Sammy as they were growing up. And, wouldn’t you know it, the younger brother turns out to be evil. There’s a precedent here. We got a ton of worthwhile information when Eve trapped the boys in the diner. And I really liked that she conveyed it in the form of Mary because it made it all the more painful. 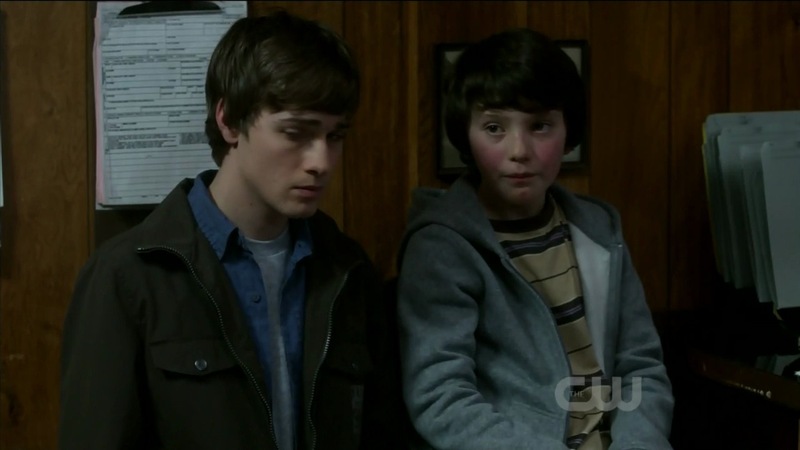 The boys have parental issues, we know that, and Mary has always been the protector in their mind. To have her form taunting them and threatening their lives was superb. Eve’s a mother, just like Mary, and she’s mad. The natural balance has been upset and she wants revenge on Crowley for killing her babies. The boys are clueless because they think this is a delayed reaction kind of thing. Crowley’s dead, isn’t he? They saw Cas burn his bones and banish him for eternity, so can Eve be telling the truth? Well, we’ll find out later, but first we need to take care of Eve. Even though Eve trapped the boys in the diner and did away with their weapon of choice, the Phoenix ash, never underestimate the Winchesters. It was interesting to see how Dean is using alcohol to his advantage in this case, rather to his disadvantage in prior situations. Take a little ash, a little whiskey, and mix it right up into your bloodstream. Then when she bites you, she’ll get a whole mouth-full of poison that will mean her death. That Dean Winchester, he’s a smart one. 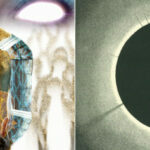 "Phoenix ash. One shell, one ounce of whiskey, down the hatch. Little musty on the afterburn. Call you later, mom." But with Eve out of the way, now they have to deal with Crowley. He wasn’t gunning for a piece of Purgatory real estate. It’s been about the souls all along. Remember who else has been all about the souls? 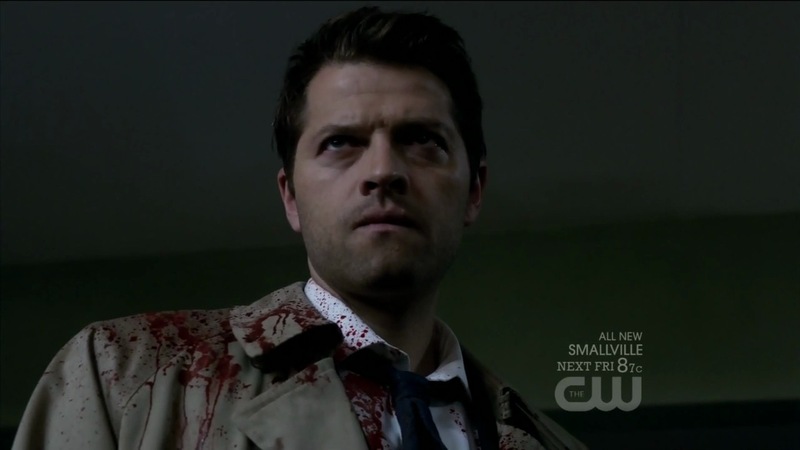 That would be one angel named Castiel, who was supposed to kill Crowley in the first place. Did he merely make a mistake? No, not a mistake really. More like blatant lies and secrets. Bobby suspects something’s up with him, and so does Sam, even if he doesn’t want to break his brother’s heart by telling him. Dean relies on Cas. As much as he mocks the angel and uses him whenever there’s a problem, he latches onto Cas as being a steadying force who will do the right thing. This version of Cas does not fit that description anymore. He’s a soldier of heaven and is fighting a civil war, which transpired because of the choices he made to help the Winchesters out in the first place. He’s having to make tougher choices now and the decisions are not always morally good. However, with this added twist of Crowley and him working together and Cas not actually having killed the King of Hell like it appeared he did, the Winchester trust is going to be blown sky-high. 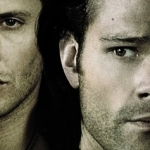 As much as I’m sure many fans would love to see Cas brought back in line as a trusted Winchester ally, I’m not sure there’s much going back from this. 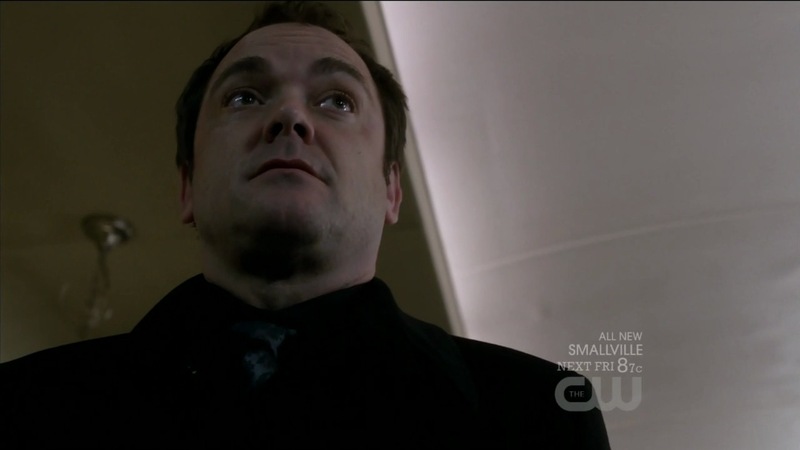 So, yes, the “what a twist” moment came at the end when we saw Crowley once again. He’s not dead after all. Despite him burning up when Cas supposedly torched his bones, Cas meant for him to get away so that they could continue working together in this mysterious plan that we are not yet privy to. Don’t get me wrong, I love Crowley, but the King of Hell working with the angel who is gunning to be the victor of heaven is not a good sign. No wonder Rachel was against this plan in the first place. It can only lead to bad things. It’s already brought Eve, so we’re not starting at a good place. Cas has been lying to them, building an army of souls, and I’m pretty sure Sam’s soul is right up there at the top as playing essential role in this whole situation. Cas didn’t want Sam’s soul returned to him. He said it was because of the torture it had experienced and how that would destroy Sam’s mind in the process of reintegration. Now, we have to consider that it wasn’t Sam’s well-being he was looking out for, but instead his own motives of success. Sam’s wall is there and it’s gonna crumble soon. Everything’s going to crash for all of them and I fear that Cas is not going to come out of this season as a favored ally, despite his motives. The road to hell is indeed paved with good intentions. "Really, Cas, this is getting ridiculous. How many times am I gonna have to clean up your messes?" I couldn’t agree with you more. This was quite a busy, emotional episode. I didn’t expect Eve to be dispatched this easily or quickly, but I loved the way they did it! 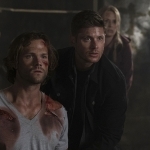 When I saw Eve’s goons taking away the rifles filled with phoenix ash, I feared the Winchester plan had gone awry, but leave it to Dean to have a good back-up plan–swallow the stuff, urge Eve to bite him, and watch the ashes in his blood do their magic! I’m thrilled evil demon Crowley is back–and notice his name was NOT in the opening credits–and look forward to some difficult choices for Cas. Dean is his best friend, if there is such a designation in heaven, and Crowley is going to insist both Winchesters be killed. I also have believed, for a long time, that Cas had his own plans for Sam’s soul, which is why he argued vehemently against placing it back inside Sam. Bobby and Sam already suspect Cas is not really part of their team anymore, but don’t want to hurt Dean’s feelings and tell him. We are in for a very bumpy ride over the remaining 3 episodes. Buckle those seatbelts, fans, and have the tissue box close by–and full! Mark always makes it a point to request his name be kept out of the credits when his appearances are a key twist to the eps. I appreciate that. I’m looking forward to the finale (both eps) to see how it all plays out. I’m kinda hoping that Cas falls and explores his human side next season, but I’m sure however it plays out it will be fantastic!